The Detroit Land Bank has stepped up its auction sales of run-down but salvageable houses, as well as empty lots, via an online process. A land bank is a public entity whose function is to acquire property that has been forfeited for nonpayment of taxes. Under state law, after three years of nonpayment, a parcel’s title reverts to the county treasurer, who must then offer it to the state, the municipality, the county and then a land bank, which is then charged with improving, selling and/or redeveloping it. They were enabled under Public Act 258 of 2003, which followed the Delinquent Property Tax Act of 1999 in streamlining the process for counties to take title of abandoned, neglected or otherwise nontaxpaying real estate. Some counties find land-bank tools helpful in getting a handle on various problems associated with a flagging real-estate market, including blight, abandonment and obsolescence. Land banks operate as de facto troubleshooters and/or developers, taking problem properties and moving to demolish, rehab or prepare them for sale to other owners. 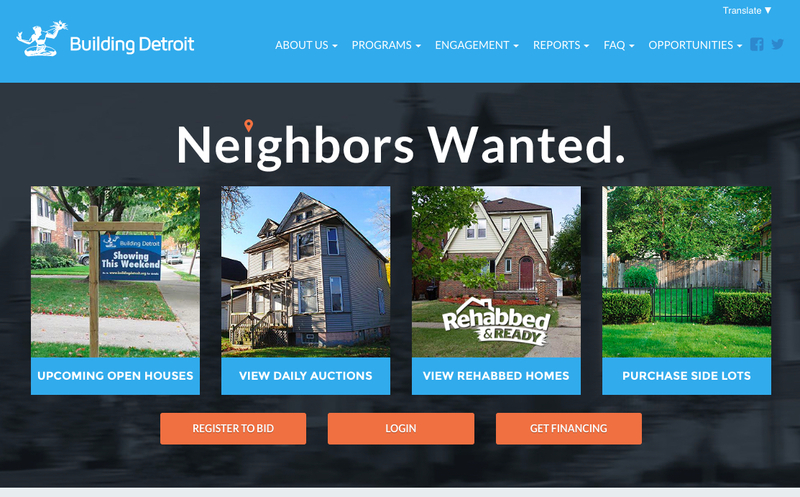 One of the highest-profile in Michigan is The Detroit Land Bank, which has garnered publicity for the online auctions started under the administration of Mayor Mike Duggan. The auctions sell dilapidated but salvageable houses and vacant lots daily for bids starting at $1,000, in locations around the city. Which counties have land banks? In Michigan, 38 of the state’s 83 counties have opted to create land-bank authorities. In counties where none exists, the state provides many of the same functions. Mostly from a combination of county general funds, revenue from land sales and through a statute that allows them to capture 50 percent of a land-bank property’s tax revenues for five years after a sale. That depends on who you ask. Robert Daddow, Oakland County Deputy County Executive, said he believes that county doesn’t need one, and in a 2011 report said that while some cities and townships there have the sorts of problems land banks are designed to address, the county can best address them through other means. Rep. Dan Kildee, D-Flint, who formed the state’s first land bank when he was Genesee County treasurer, disagrees, and has made redevelopment and revitalization a centerpiece of his career, co-founding the Center for Community Progress to further the work. How do I find land-bank properties for sale near me? Check your local county website. Most counties have directories of parcels and buildings for sale or auction.